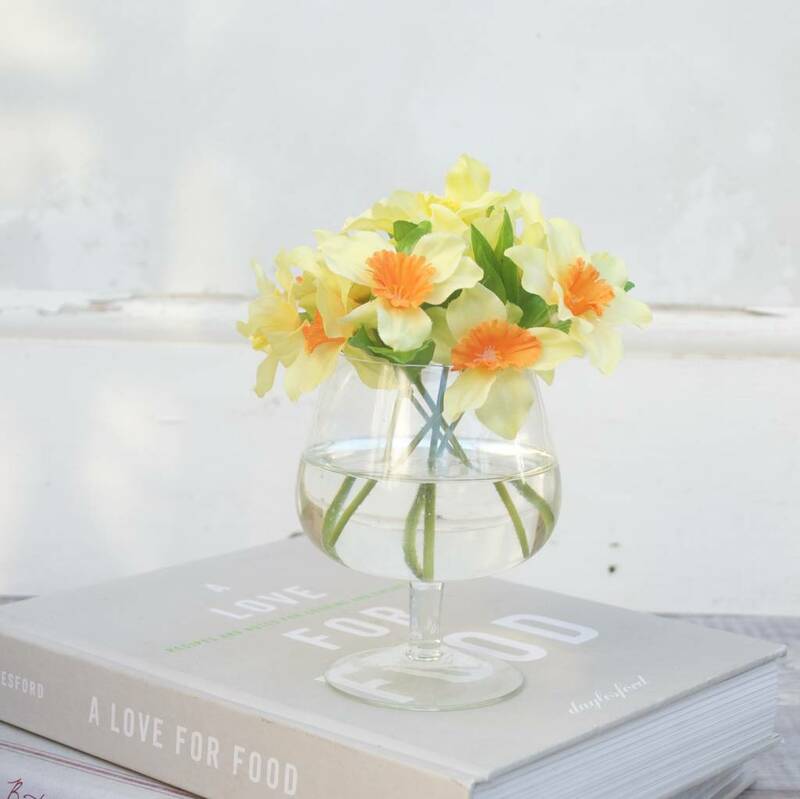 A beautiful and elegant artifclal bouquet of daffodils in a stylish glass vase. This beautiful faux spring flower bouquet has the feeling of vitality, springtime, optimism and joy. The narcissus have been carefully arranged in an upcycled vase making it unique. We love to bring you artificial flowers to your home that have the appearance you have just nipped out to your garden to pick them. They have a wonderful quality about them and one almost believes they are real. 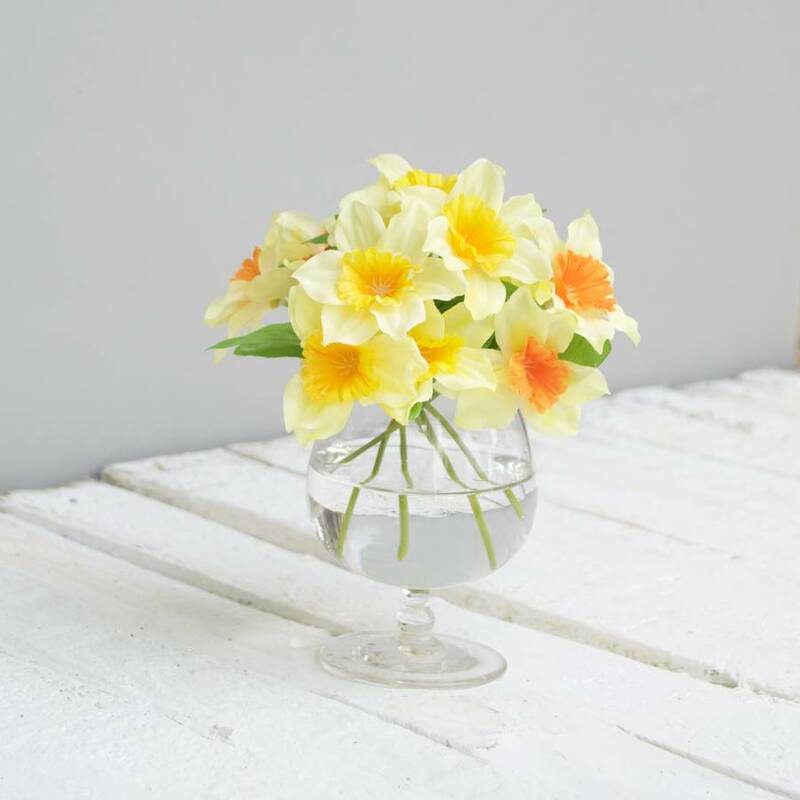 This bouquet of daffodils is exceptionally versatile, wonderfully delicate in appearance and adds a hint of sunshine to your space, It will most definitely cheer you up and will brighten your day! This gorgeous posy reminds me of mother, every time we go and stay she puts a gorgeous little posy just like this in our bedroom to welcome us. Here at Abigail Bryans Designs we are passionate about flowers and particularly faux flowers. We want to bring the best and most realistic bouquets to your door. WIth that wonderful feeling that they have just been picked. Each bouquet is made with faux flowers that are fabric with plastic stems and are then carefully arrnaged in resin which has the appearance of water. To freshen up, clean with a damp cloth. As each bouquet is made in our studio in London the bouquets may differe slightly in height and width. 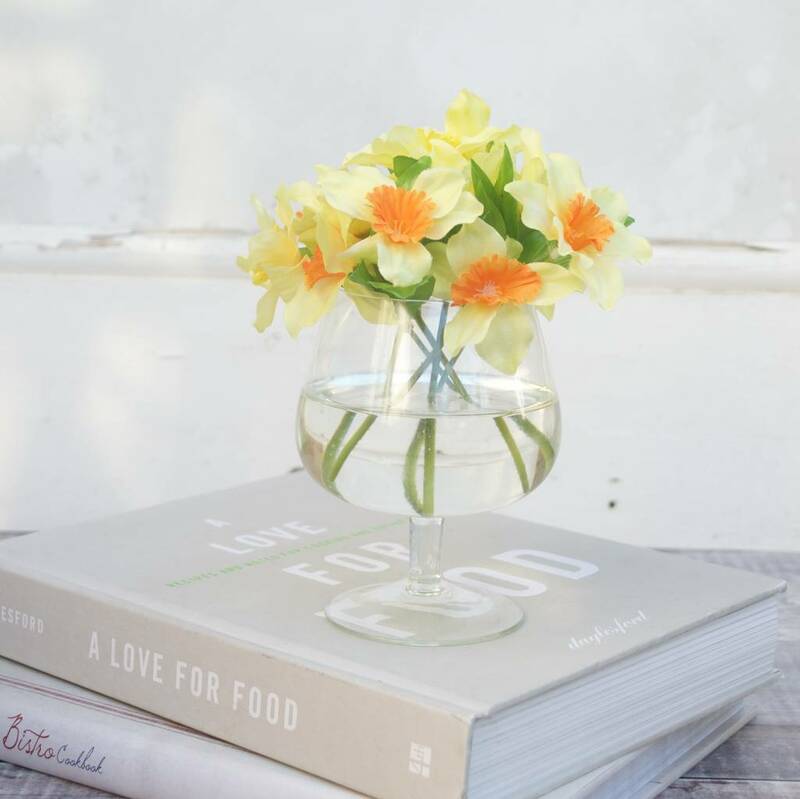 The brandy glasses will differ ever so slightly, but we endeavour to bring only the best to you. The approx height from the bottom of the vase to the tallest flower head is 17cm - 19cm.